In 1899, the Wright Brothers asked the Smithsonian Institution for all the information they had on flight. After a quick search on a Friday afternoon, according to conference speaker Steven Adams, the Smithsonian provided them with the technical papers and patents of just over half a dozen aviation pioneers. Today, there are reams of information to sift through for anyone working on an invention in any field. Conference speaker Willem-Geert Lagemaat, CEO of patent information company Univentio, compared the challenge of finding pertinent patent information using today’s patent databases and other resources to “finding the right needle in a stack of needles.” Fortunately, the Patent Information Users Group (PIUG) is dedicated to making this task easier. PIUG’s goal is to foster education and innovation in the field of patent research and analysis. 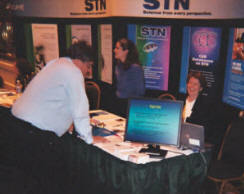 PIUG met for their annual conference in May, 2004 in Baltimore, Maryland. Corporate and independent patent research professionals, patent office officials, and patent information vendors gave seminars on current trends and innovations in intellectual property and patent research. The conference also included workshops by many commercial patent information vendors and value-added patent services companies. Ask the Experts sessions facilitated the trading of ideas between patent information vendors and end-users. A networking event at Baltimore’s Camden Yards baseball stadium featured the Baltimore Oriole’s mascot as a host along with great food. Attending a PIUG conference is a must for those who want to stay on top of the patent strategy and patent information game. 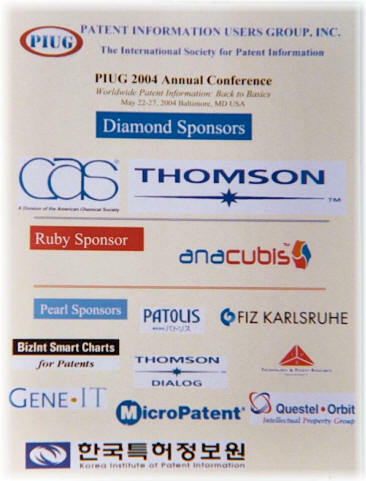 The theme for the next PIUG conference in 2005 is “The Future of Patent Information.” Visit the www.piug.org website for more information on future conferences and archived resources. The following topics and themes were covered at the conference. 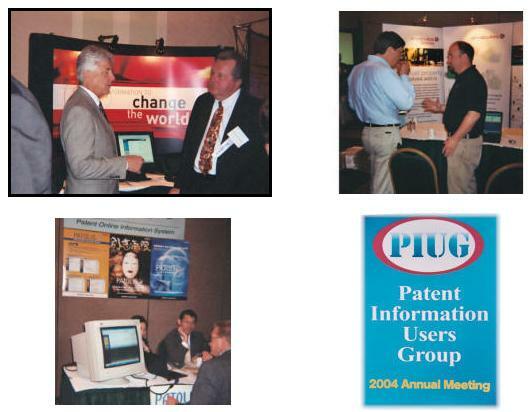 The following companies had exhibits at the PIUG 2004 Annual Conference. Glen Kotapish is a professional patent searcher. 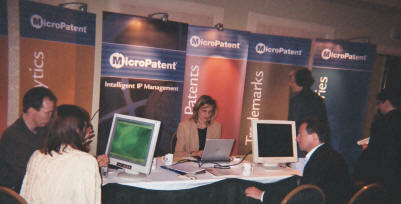 He specializes in electronic, mechanical, and aerospace searches and is founder of www.PlanetPatent.com. He is also a consultant for companies developing patent search engines and software. Glen can be reached at searchpatents@aol.com.